Arab media reported Thursday that Egyptian intelligence head Abbas Kamal visited Tel Aviv and Ramallah on Wednesday in order to close the final details of the pending long-term ceasefire agreement between Israel and Hamas. The deal was brokered by Egyptian and U.N. officials over the past several weeks. The report in the Al-Hayat newspaper Thursday said that Kamal met with senior defense officials in Israel, and then with Palestinian Authority chief Mahmoud Abbas in Ramallah. The main topics of the discussion, according to the report, were the measures Israel was planning to take to ease the situation in Gaza and open its economy, as well as the fate of Israelis being held by Hamas in Gaza. Cabinet members speaking in Israeli media Wednesday night denied reports that the deal does not include the release of the four Israelis, including the remains of IDF soldiers Oron Shaul and Hadar Goldin, Hy”d. “There cannot be a deal with Hamas unless our boys are returned home and we have a guarantee of long-term quiet in the south,” Yisrael Hayom quoted a Cabinet source as saying. 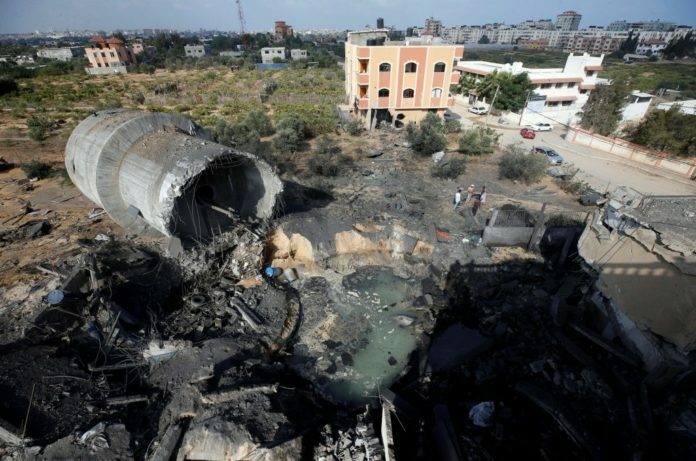 Residents of Gaza border communities are following the ceasefire saga with a very cynical eye, Yisrael Hayom reported, due to the fact that there have been numerous ceasefires in recent weeks that fell apart very quickly. The overwhelming opinion of residents is that the IDF needs to embark on a major operation to remove Hamas from the leadership of Gaza. Without such an operation, the south faces an unending cycle of war, the report quoted residents as saying.